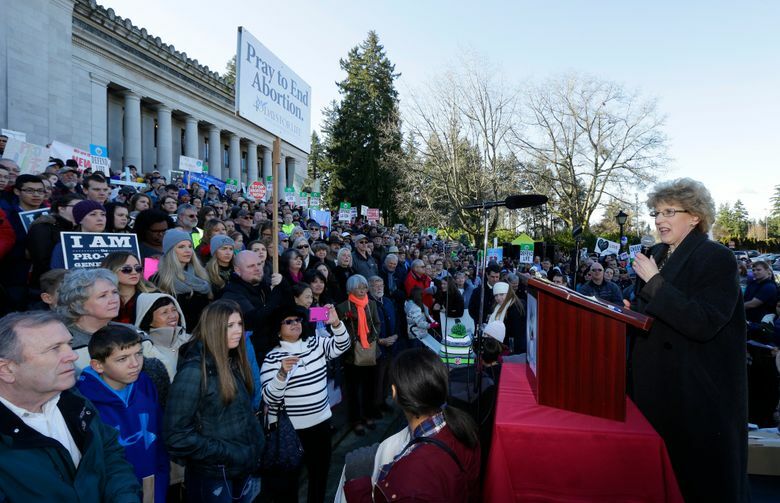 Thousands of abortion opponents rallied in Olympia on Monday for the annual March for Life. 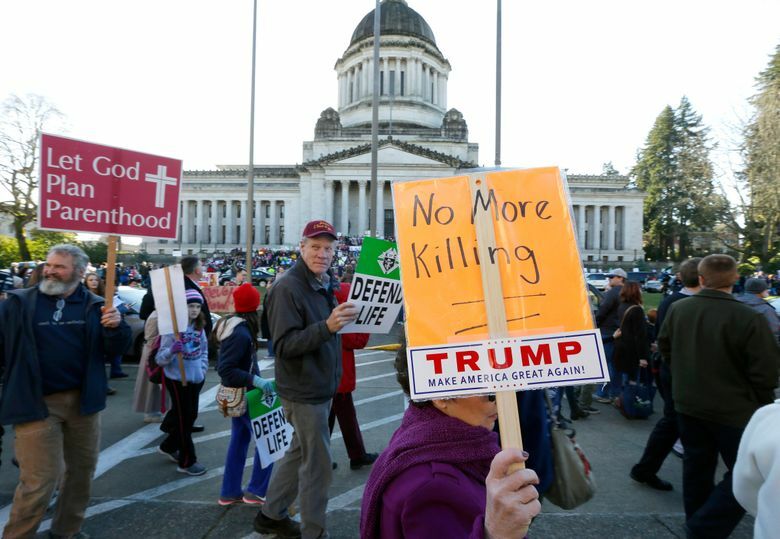 OLYMPIA — Bowing their heads, thousands of abortion opponents began their annual March for Life rally Monday with a prayer. As they stood silently on the state Capitol steps, eyes closed, abortion-rights advocates chanted in unison and in umbrage from across the street. “Abortion is a woman’s right!” the two dozen or so counter-demonstrators yelled at the abortion opponents, who the State Patrol estimated totaled about 2,500. 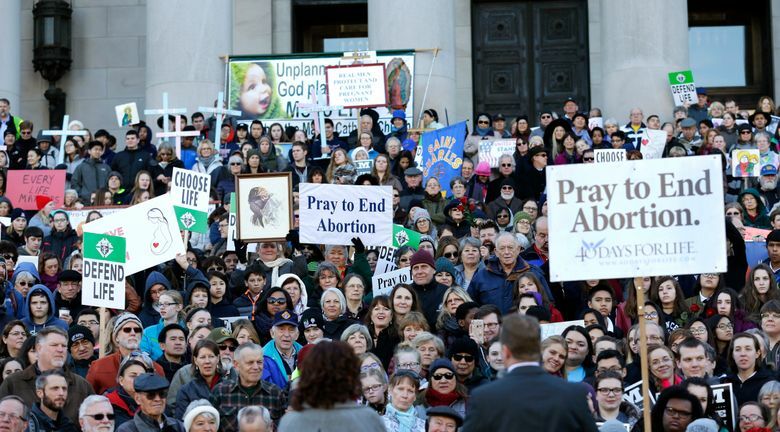 Participants in the March for Life have been holding rallies at the Capitol for 39 years, marking the anniversary of the Jan. 22, 1973, U.S. Supreme Court decision that legalized abortion. 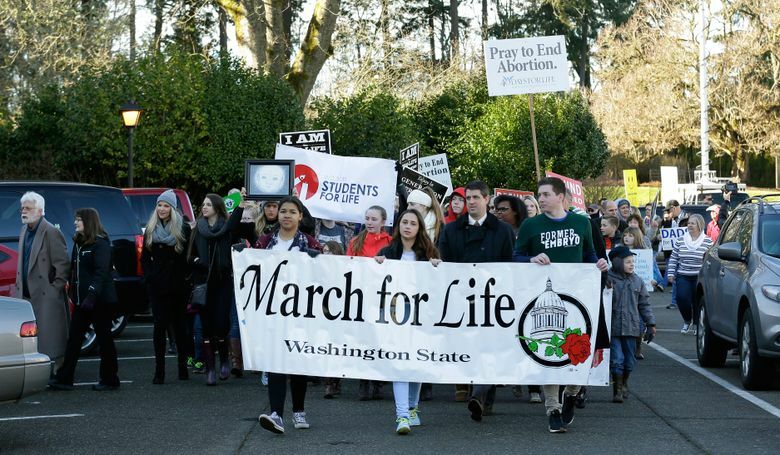 “Disagreement is just a conversation starter,” Noreen McEntee, the head of Washington’s March for Life chapter, said of the nearby abortion-rights advocates. The rally began with a sermon and included speeches by state lawmakers and clergymen. As it continued, calls for “change” and “hope” punctuated the speeches. “With a new administration, there is hope! Hope!,” state Sen. Mark Miloscia, R-Federal Way, said of Donald Trump’s assuming the presidency. Trump has vowed to appoint an anti-abortion justice to fill an empty U.S. Supreme Court seat. Republican lawmakers in Congress have vowed to cut federal funding to Planned Parenthood. Soon after, organizers dispersed among the crowd, handing out fliers that specified ways to get involved and noted three pieces of legislation that aim to limit abortions.